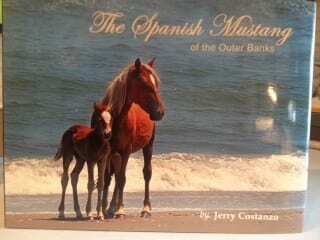 A complete and inclusive study of the Corolla wild horses. A must read for all those interested in their history and the issues they face today. Author Bonnie Gruenberg who wrote The Wild Horse Dilemma has studied, photographed and written about wild horses for more than 20 years. 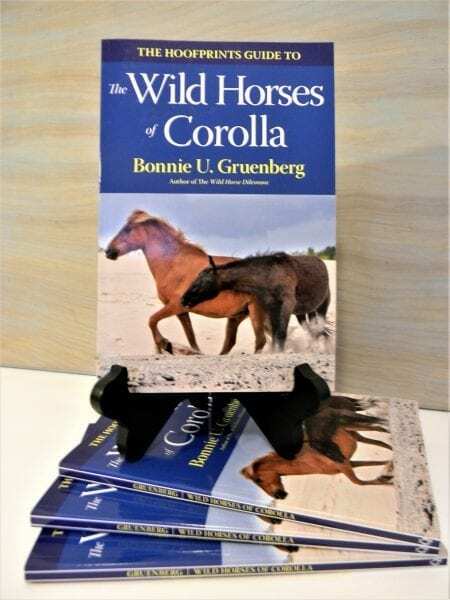 The Wild Horses of Corolla is part of the Hoofprints Guide Series, detailing the history, environment and behavior of the Banker strain of Colonial Spanish Mustangs. 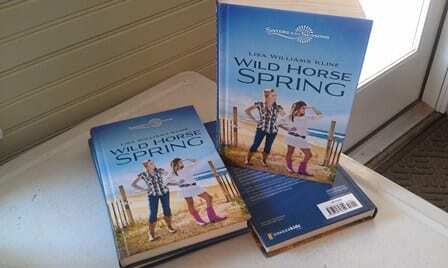 145 pages; paperback 6″ x 8″ with black and white photographs. 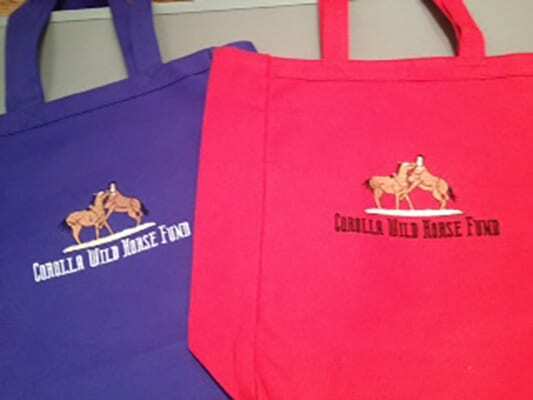 All proceeds benefit the Corolla Wild Horse Fund. Thank you for your support! 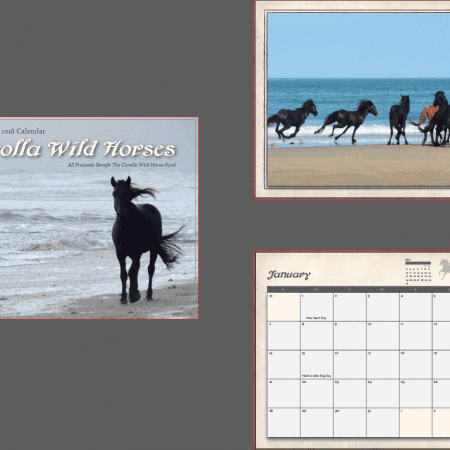 Official 2019 Corolla Wild Horse Fund Calendar!